Throw your scale ruler away. Bin the plan wheel. Why take-off with the pricing still to do, when this clever, easy to use, software kit can give you the cost too - at the click of a button. Your quote will be spot on, in the hands of the customer faster, and the automatically generated reports will help you manage the job. Relentless? 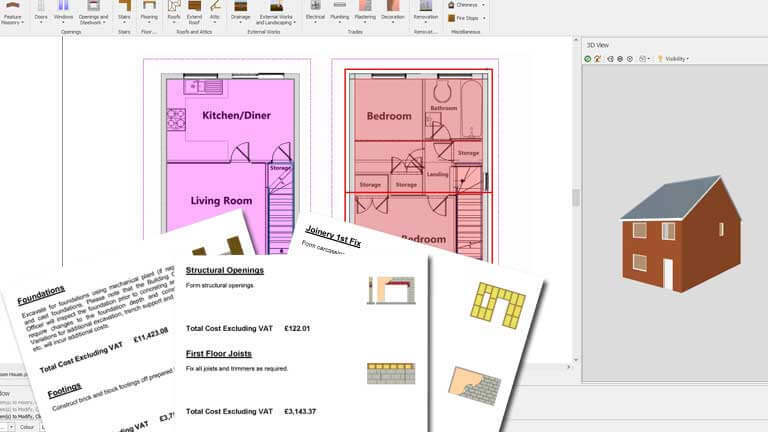 Your traced, measured and counted building plan becomes an estimate in a couple of clicks. The dashboard gives valuable info on your projects that will actively help you run your business. You have a huge choice of regularly price-checked materials (we’re not tied to one merchant). Charge it right. 100% accurate calculators quantify everything. Nothing’s forgotten. Don’t sub your customer. Charge it right. The software gives you the latest material prices and 100% accurate calculators quantify everything. Nothing’s forgotten. Provide customers with detailed quotes and cost breakdowns. Add ‘wow factor’ graphics. Have a live online demonstration. It can take as little thirty minutes. Call us on 0117 916 7898. 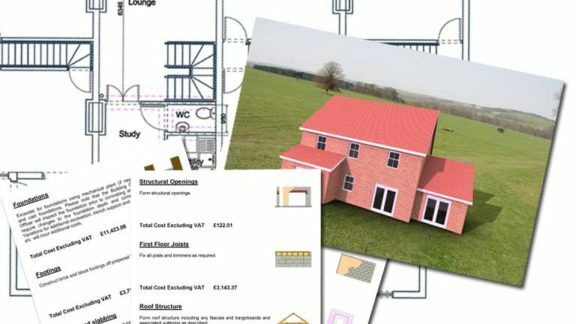 Tracing your plans to capture your dimensions and specification is a doddle using our Take-off software. Better than that, as you take off areas, lengths and counts the software is gathering data ready for your estimate. 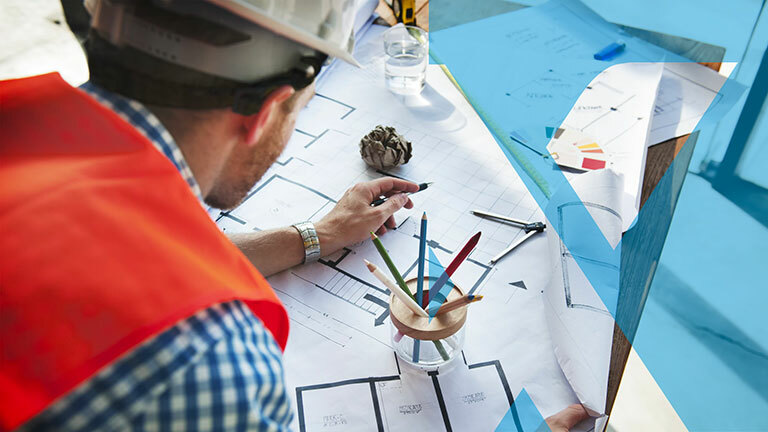 Click a button, answer a few questions and you’ve got an instant, fully detailed estimate, customer quotation and automatically generated reports to help you manage the job. You’ll never look back. It factors in VAT, wastage, critical costs and profit. 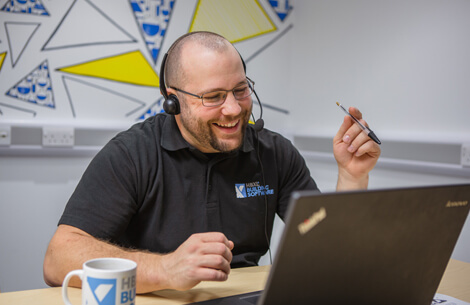 All our software comes with either an annual or lifetime licence and free updates, including regular material price checks, and uncapped award-winning telephone, email and chat support for first year. 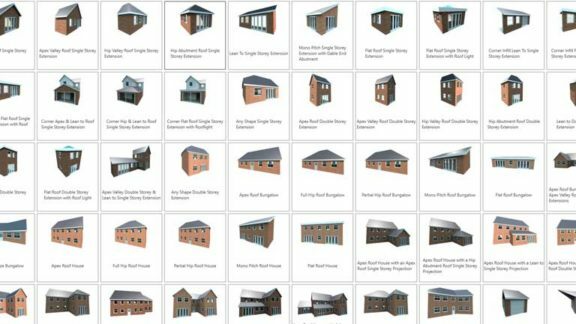 Take-off building plans to import into EstimatorXpress for an automatic estimate.